Our specialty scales make counting, weighing, and price computing easy. For retail environments that require a portable, yet rugged, solution for weighing goods up to 30 pounds, our price computing scale is an excellent choice. With minimal maintenance required, the price computing scale can weigh a host of items from fruits and vegetables, to coffee and tea. Our counting scales are designed for ease of use and accuracy of weights up to 60 pounds. The EC-2 series allows you to connect a second platform to expand your capacity. With easy-to-read displays, a variety of preset options, and rechargeable batteries, our counting scales are ideal for use in any business that depends on weighing products. For more industrial applications, our Caston II crane scale has a weighing capacity up to 10,000 pounds. A sturdy cast aluminum construction is built for high accuracy weighing. A wireless remote control and rechargeable batteries help make the Caston II crane scale easy for medium industrial use. 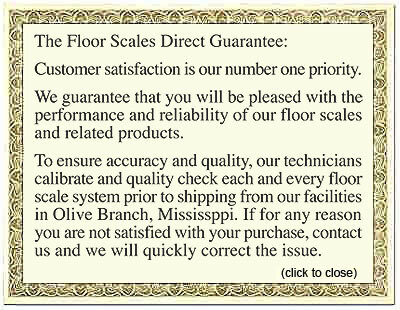 For the best specialty scales, shop FloorScalesDirect.com today.